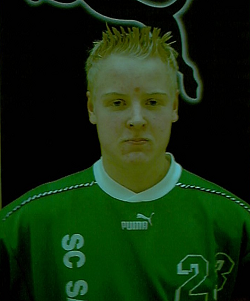 2002-2003 the c87-youth's team played their 1 season in the series facilitated by the Finnish Floorball Federation. During the season SC Saragoza played 16 games in the competitive series arranged by the Finnish Floorball Federation. Out of these, the team won 1 games, drew 4 games, and lost 11. The team gathered 6 points and scored 43 goals. 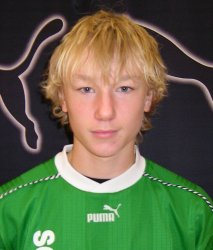 Scoring leader was Jonatan Ahlvik (10+4). Top scorer was Jonatan Ahlvik (10), most assists were collected by Jonatan Ahlvik (4) and the most penalized player was Sebastian Sj�gren (8 min). During the season SC Saragoza played 3 practice games. Out of these, the team won 3 games, drew 0 games, and lost 0. The team gathered 6 points and scored 20 goals. Scoring leader was Viipe Koivu (4+2). Top scorer was Viipe Koivu (4), and most assists were collected by Jesper R�nnlund (4), and the most penalized player was Viipe Koivu (2 min). Innebandy spelas i Kristinahallen p� l�rdag, n�mligen C87-juniorernas FM-distriktskval. SC Saragoza m�ter Nurmon Jymy och OLS fr�n Ule�borg.